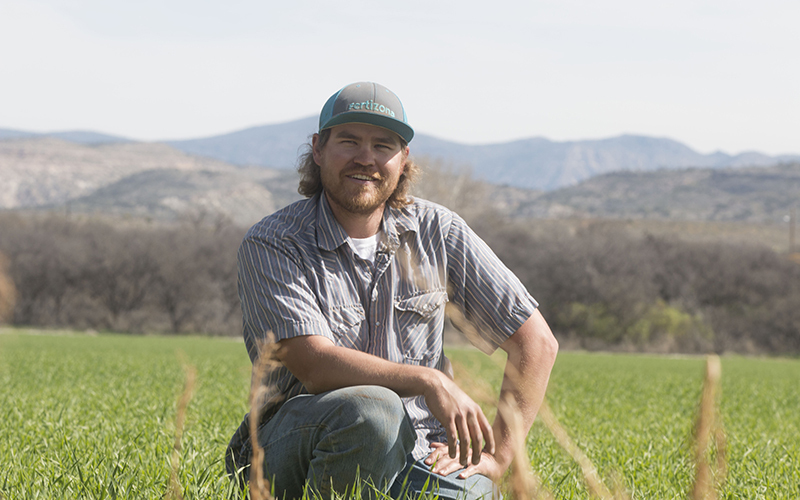 CAMP VERDE – Zach Hauser, like many farmers in the Verde Valley, takes pride in his land and the crops he grows. Normally this time of year, rows of corn, alfalfa, carrots and watermelon would cover his acreage. But today, two large sections of his property look like a farmer’s worst nightmare: fallow land strewn with dead vegetation and weeds. 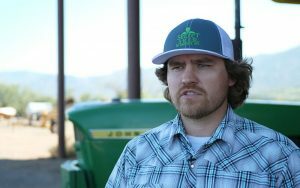 Hauser swapped out some of his usual thirsty crops – which require flood irrigation from the Verde River during scorching summers – for barley, which uses less water. Hauser made the change as part of a collaboration among local farmers, investors and the Nature Conservancy, an environmental nonprofit. The group worked with Hauser and Hauser Farms and nearby Speck Farms to swap 144 acres of summer corn for winter barley, and they’re now seeing the fruits of that labor. Sinagua Malt – a malt house built specifically to encourage Verde Valley farmers to plant barley – turns that grain into a key ingredient of craft beer, which it sells to stores and restaurants around the state, including O.H.S.O., the Wren House and Arizona Wilderness Brewing Co. in metro Phoenix. “Just knowing that something is grown locally – that it basically goes from farm to plate for food, or that it goes from farm to mug for beer – really makes a difference to consumers,” said Chip Norton, president and principal shareholder of Arizona’s first malt house. Local farmers rely on the Verde, which the nonprofit American Rivers listed as one of the 10 most endangered rivers in America in 2006, according to National Geographic. The Nature Conservancy considers it still at risk. The collaboration saved 47 million gallons of river water last June, said Kimberly Schonek, the Verde River program director for the Nature Conservancy in Arizona. June is when the river is at its lowest and saving water matters most. It wasn’t as easy as simply asking the farmers to swap crops; after all, barley usually doesn’t make as much money as corn. To make the effort viable financially, they built Sinagua Malt. Sinagua – Spanish for “without water” – is a public benefit company, which means it puts more value on public good than profit. “The big number to us is the amount of water that’s staying in the (Verde River) in the summer months,” Norton said. He started Sinagua Malt with the Nature Conservancy in 2016 after he did a similar enterprise with Many Rivers Brewing Co. in Colorado. Norton said efforts to help protect the environment make a difference with consumers. For example, Arizona Wilderness Brewing Co. in Gilbert, which Norton said is Sinagua Malt’s biggest customer, markets its products with an emphasis on “naturalism and conservation” on its website’s homepage. Arizona has been in a drought for 21 years, said Nancy Selover, the Arizona state climatologist. Because of climate change and increasing population across the Southwest, the Colorado River – which supplies water to 40 million Americans – dries up before reaching the Sea of Cortez. The partners in this project want to protect the Verde River, which begins near Paulden in Yavapai County and flows into the Salt River, from the same fate. The Salt and Verde rivers are primary water sources for metro Phoenix. To compensate for dwindling surface water, cities pump groundwater or draw from the Central Arizona Project, which also supplies Colorado River water to Tucson. Hauser joined the Nature Conservancy project not only to make money and save water, but also to help protect his land from development. His family has been farming in Camp Verde since the late 1960s and now owns the land, much of which it had leased until the late 2000s. In the mid-2000s, developers were buying Camp Verde property for housing developments, and the Hausers feared they’d lose the large parcels they were leasing, Hauser said. The Nature Conservancy intervened, helping the Hausers buy those parcels and place easements on the property. Those easements make it illegal to develop the land, whether by his family or any future owners, Hauser said. This first year, Hauser’s farm and Speck Farm didn’t see the returns they would have had if they’d grown corn, but the Nature Conservancy paid the difference. In the future, said Schonek, the conservancy’s Verde River program director, the malt will return the same profit corn fetches. 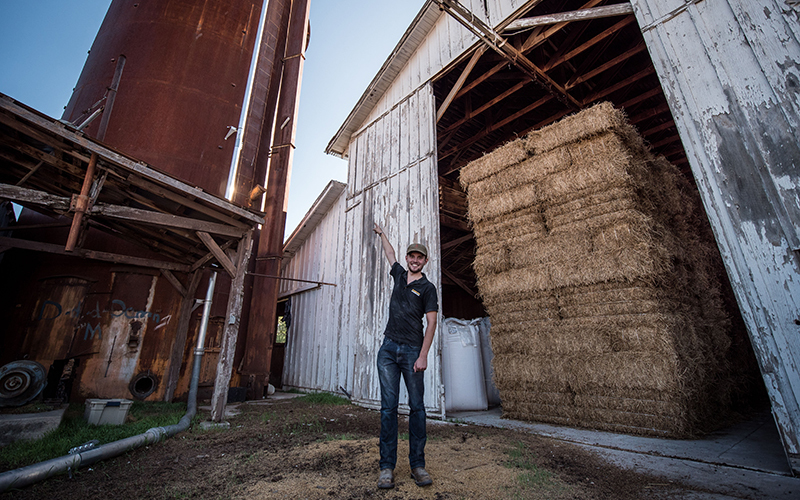 “Without having a malt house, the only thing you can do with barley is sell it for cattle feed, which is not economically viable for farmers,” Schonek said. All the conservancy’s dividends will go back into Sinagua Malt to achieve the organization’s five-year goal of converting 600 acres to barley, saving 200 million gallons of water each year in June. Hauser said he’d be happy to convert more acreage if the malt house expands. 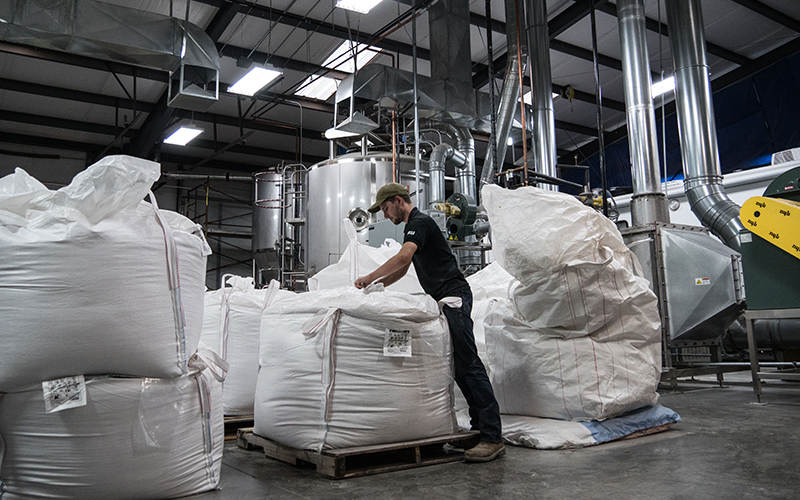 Sinagua malt barley can cost 20 percent more than competitors’ products, but the sustainability angle seems to have struck a chord with local brewers. Norton said the malt house brought in about $50,000 in its first year, all of which will go to expand it. Elemental: Covering Sustainability, a new multimedia collaboration between Cronkite News, Arizona PBS, KJZZ, KPCC, Rocky Mountain PBS and PBS SoCal.